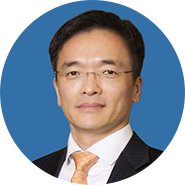 Dr. Kevin LI is a Managing Partner at LYZZ Capital, a China-based healthcare-focused fund managed by former pharma industry veterans, and invests globally in leading biotech and pharmaceutical companies. Kevin has been an active biotech investor in China for over 10 years. Prior to LYZZ, he was a Partner at DT Capital and HBM BioMed China. Earlier in his career, Kevin was involved in the building and management of several successful biotech companies, including GenoSpectra, Fountain Medical Development, Amazin Biotech, etc.. Dr. Li received his PhD in biology from Indiana University and was a postdoctoral fellow at Stanford University School of Medicine.Dr. Li has been investor and board member of a number of successful biomedical companies in China and the US, such as Nuokang Biopharma, Vital Therapies, Cathay Industrial Biotech, Xili Pharma, Wuhan Hiteck Biopharma, Shanxi Kanghui, Chipscreen, Neurelis and Alpha Biopharma.